I am a British potter based in north London. I specialise in thrown stoneware and porcelain, making studio pieces, some domestic ware and recently sculptural forms. The feel of a piece is very important to me and so some forms have a gritty texture to go with the mottled glazes but I like to keep porcelain forms clean, smooth and minimally glazed. 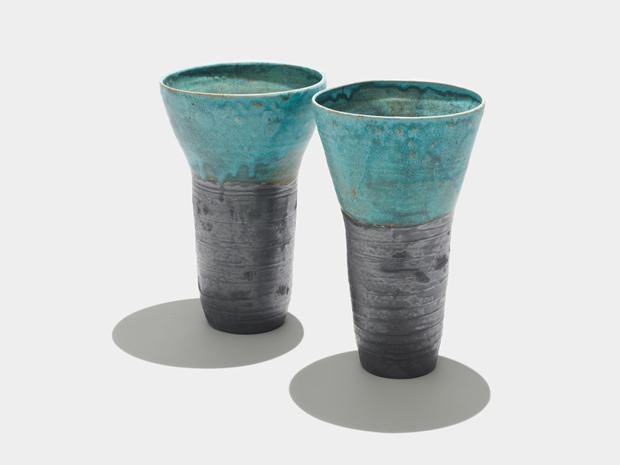 The vocabulary of my forms comprises bowls (deep footed, flat bottomed and open rims), bottles and vase forms. They may remain round or may be altered when soft to create undulating rims which create movement in the piece, an effect I find attractive. I make these forms in different sizes and in either stained stoneware or porcelain. Stoneware versions are often layered in matte feldspathic glazes but porcelain versions are only glazed on the inside, leaving the outer surface to be scored, carved or left smooth. Porcelain pieces are glazed in layered blue-green glazes with copper red splashes for accents. My work is reduction fired in a gas kiln to cone 10 or approximately 1300C. I exhibit mainly in the UK. The studio is always open to visitors by prior arrangement. The Contact page will have all the details for getting in touch with me and exhibition updates are on the See and Buy page. 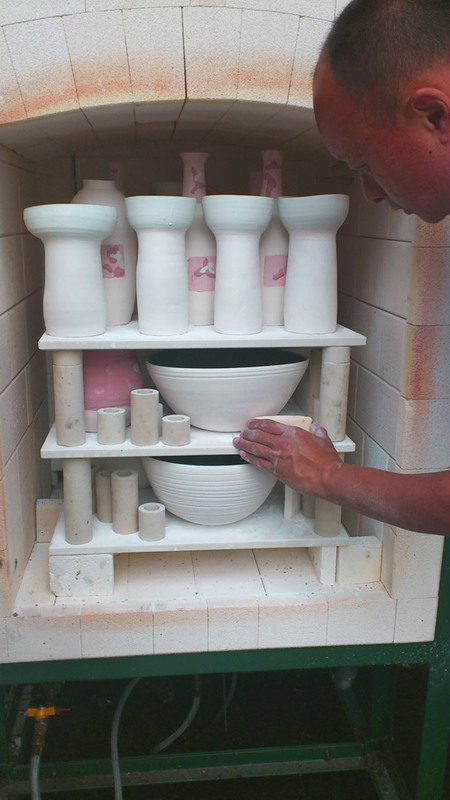 If you want to know more about my background, please go to the page on being a potter. In 2016 I began to make sculptural pieces with a focus on form. I was fortunate to launch these works in 2017 at Kew Gardens and received much positive feedback for which I remain very grateful. I am continuing to make sculpture which will be available through the galleries who have kindly offered to host my work. In 2018, I will be taking a break from the workshop as my partner and I will be involved in a personal project. The sketchbook will not be far away as ideas for new work and sculpture will be churning about in my mind as usual. Please do continue to write to me or to see the work at the Frivoli, Gallerytop and Highgate Contemporary Art galleries.